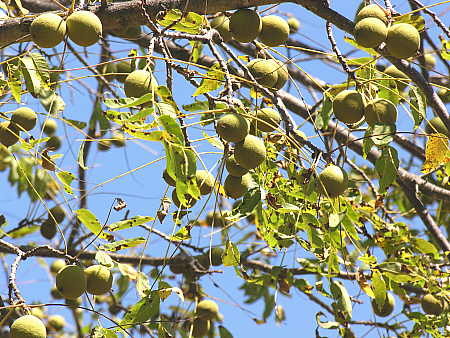 The Malakand Division, according to one estimate, accounts for roughly 95 percent of Khyber Pakhtunkhwa�s walnut yield. 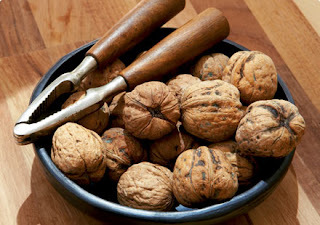 Walnut of different sizes, quality, and colour are produced here which are marketed in whole form or its flesh taken out and packed, and is sold in the market. What is being done to increase the yield of dry fruits after the militancy days are over? In Dir, these days per kilogramme prices of different qualities of walnuts range between Rs100-250 for whole and Rs400-700 for walnut flesh, of pistachio between Rs600-800, of almond Rs150-400 and chilghoza being the costliest of all with Rs1400, according to Saeedur Rehman, a dry fruit dealer in Dir. Contrary to the general impression, he says, militancy hadn�t badly impacted on the dry fruit production and businesses and opined that prices have come down as compared to last year. He says, �The price of walnut, a Dir speciality, ranges between Rs5000-12000 per 50kg while that of its pure flesh ranges between Rs22000-35000-50kg. Walnut from Barawal and Bamboret are liked for their big size and taste. The brighter the fleshy part, the higher the price. And the cooler the area where it is produced, the better the taste and quality of the walnut,� he adds. The sale of the walnut flesh fetches more income for the dealers. That is why people in Dir, rather than selling standing walnut trees or the whole fruit with cover, have started taking out its flesh and packing and selling it. A 50kg sac of whole walnut produces around 22-25kg pure fruit which fetches around Rs22000-35000 in the market, much higher than the whole fruit prices. The importance of the walnuts cannot be overstated. Dry fruits and winters go hand in hand. While watching movies, reading books or newspapers or partying with friends, dry fruits help warm the body. Dry fruit are not only health-friendly but are also taken as gifts to friends and officials in beautiful packing. But skyrocketing prices are making them an unaffordable luxury for the majority. Hundreds of tonnes of walnut, pine-nut and other dry fruit are produced in Dir and surrounding districts. Barawal, Dir Kohistan and Garam Chashma, Bamboret and Bony valleys in Chitral produce the best walnut and pine nut. The walnut from Nooristan Afghanistan also reaches the local market.� Experts say walnut helps improve memory, is useful for treating stomach, liver and kidney diseases, for cardiovascular diseases and high blood pressure. It helps control cholesterol level, strengthens the walls of blood vessels and prevents diabetes and supports immune system. Lack of official support, negligence of the concerned departments, continuous deforestation of the existing trees for getting �Dandansa� and other purposes, and non-cultivation of new ones have badly affected the produce. The government should provide technical advice and support to grow more walnut trees as these are depleting and about 90 per cent of the potential in the area is yet to be utilised. 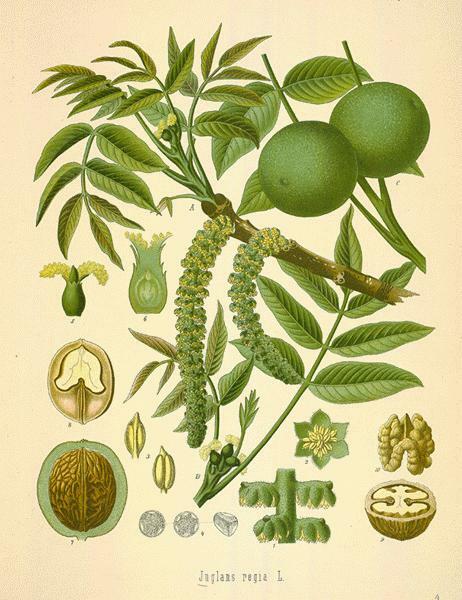 Rehman was particularly unhappy over cutting walnut trees for getting �dandansa�. �The problem is for dandansa you have to cut down the younger trees whose stem-cover and roots are the best. Shah Abdar, a Swat-based grower of walnut, says hundreds of tons of walnuts are grown in Bahrain, Kalam and other valleys of Swat, adding that the potential of walnut in the area is not being explored. Swat is the ideal place for walnut. It usually grows on mountain ridges, in the gorges and river-banks and thus doesn�t impact the already less cultivable land. 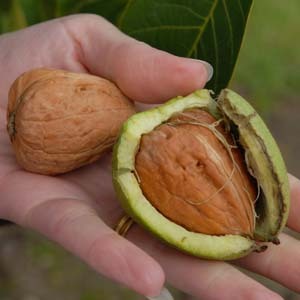 Walnut could be the greatest source of income for the area people. But despite being the main asset along with fruit, vegetable and livestock, the number of walnut trees has been on the decline and only about 5 to 10 percent of the area in Swat suitable for walnut is utilised..
�The reason for this is absence of personal ownership. The trees so cultivated are often destroyed by the people as there is no sufficient care and security for them. The government and non-governmental organisations need to provide expert advice, walnut plantlets /seeds, and insecticides to farmers to grow more trees. It is only then that the problem will be solved once and for all. In the hope of huge returns, they will do whatever is possible to keep it safe and healthy,� Shah argues. �Though main roads in the area have been repaired to some extent, the link roads to far flung areas are still inaccessible. It leaves the poor people with no choice but to sell their standing walnut trees to dealers on meagre prices, thus incurring losses,� according to him. By Tahir Ali The News .